The Penicuik town centre road closures are having to be extended by a further week. A new medium-term financial strategy is being developed by Midlothian Council, setting out how it plans to balance its budget over the three years 2020/21 to 2022/23. 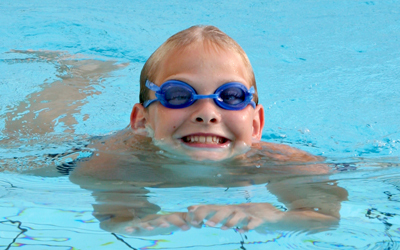 Our FREE swimming for under 18s is back for the holidays. Midlothian Council Leader Derek Milligan said he is “profoundly disappointed and frustrated” by yesterday’s Court of Session decision to dismiss £12 million legal claim relating to Gorebridge housing. We are considering making changes to the way we allocate council housing. Midlothian Council is carrying out essential road resurfacing in Penicuik High Street, including the junction with Bridge Street and West Street. Details of road closures here. Midlothian Council has won ‘Council of the Year’ in the Scottish Diversity Awards 2019. As we mark International Women’s Day (Friday), COSLA has formally congratulated seven councils, including Midlothian, taking part in a ground breaking pilot accreditation programme. Bonnyrigg Rose Community Football Club has been awarded £4,500 from the Scottish Government Place Standard Conversations Fund. The money will be used to run a community day at the end of March, in partnership with Midlothian Council. Midlothian Council is reminding local people with a Taxicard, which makes single taxi journeys up to £3 cheaper, the service is stopping from the end of Sunday 31 March 2019. We've still got some spaces left at various swimming classes at The Lasswade Centre. Sign up now. If you are thinking of getting married or having a civil partnership there are a lot of things to consider but one of the most important things is booking a registrar to conduct the ceremony.